Most people regard their child’s education as a major priority. Parents often make huge sacrifices and willingly expend time, effort, and finances to ensure that their children receive the best possible education. And not without good reason, as generally speaking, the type of education one receives often determines how well they do in life. But what exactly constitutes a good education? 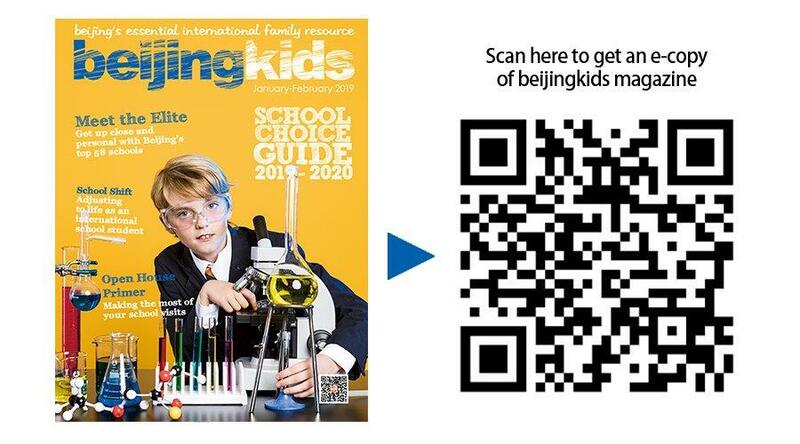 Is homeschooling a viable option for expat parents in Beijing? Can this mode of education effectively prepare children to succeed in today’s society? We asked three expats with homeschooling experience to help shed light on these fundamental questions. Therese and her husband have lived in China since 2006. The couple has four children aged 6, 7, 9, and 11, all of whom were born in Beijing. Therese is currently in her fifth year of homeschooling. What do you like about homeschooling? I like being able to work with my kids all day long. Each child learns at a different pace. They can be really fast in one subject and really slow in another. I can allow them to do that because we make our own schedule and it’s tailored to each child. The higher the grade, the more I have to figure out how to make sure they are getting everything. With higher level math, if you can’t do it you have to find someone who can teach them or an online program. Are there any challenges with homeschooling that are unique to living in Beijing? The lack of libraries and all the activities that are usually connected to a library is a challenge here. We overcome this challenge by downloading books for the kids to read on their Kindle. We also make use of reading app subscriptions, and the kids love to listen to audiobooks. How do you develop your children’s social skills? We want people to enjoy being around our children. So we are always encouraging them to think about how they can be friendly: things like, if they see a kid being left out of something, try to include them. We have four children so they have plenty of practice with each other. If I was parenting an only child, I would have to do more to help that along. What advice would you give to someone who’s thinking about homeschooling? It has to be understood that homeschooling is a commitment. It’s true that it is flexible. I like that we can do double school one day, and take a family day the next. But if you’re too flexible and you can’t stay on a schedule, it’s easy to derail your child’s education. Also, it’s really helpful to have a friend who’s homeschooling as well: someone who can encourage you on the days you feel like giving up, somebody you can bounce ideas off. It doesn’t always have to be someone here, but it is good to have someone to talk to. Andrea and her family moved to Beijing in 2013. Andrea has four children aged 6, 17, 19, and 21. Her two oldest children are currently in college in the US. Andrea began homeschooling in America, and her homeschooling experience spans 17 years. In the early years, homeschooling really suited our lifestyle. We were a military family and so we moved every three or four years. Homeschooling was the thing that made our life predictable. No matter what was going on, we just did homeschool. It was something that pulled our life together. What aspects of homeschooling do you find challenging? When I started homeschooling, many of the resources that are available now were just developing. So there was often that question of, “Am I doing the right thing?” Most people who send their kids to school don’t really think about this. They just send their kids to school because that’s what people do. They don’t overanalyze everything. What advice would you give to someone who is thinking about homeschooling? What is the goal of homeschooling for your family? In the US and here, there is a huge focus on college. That was never our main intention. We always expected our children to go to college and talked to them about college so that it seemed normal, but my goal was so much bigger. I wanted each of my children to develop into a whole person who succeeds in life, not just gets into college. I want to see who my children become after college. For me, going to college is just one part of life, not all of life. It was also really important to us that we taught our children how to learn independently so they didn’t always have to be taught things. In traditional forms of education, you are taught things by a teacher, you memorize those things and then you take a test. Well, you should be learning your entire life. After college, there isn’t a test on everything you learn. We wanted to foster a lifelong desire to continue learning. What curriculum do you use and how did you choose it? We started off with a curriculum called Sonlight because it came all together and ready to go. As the years passed our curriculum became an amalgamation of pieces from several different curriculums. We also used online classes and online community college. In terms of choosing a homeschool curriculum, I would really recommend just picking something and starting. After a year of doing it, it will be easy to see what you love and what is the thing that everyone hates every day. Then you can go and talk to friends and ask, “What do you use for this?” It’s helpful to talk to different people about the way they homeschool because there are so many ways to do it. How do you ensure your children receive adequate socialization? It depends on your definition of socialization. This whole concept of socialization often refers to interacting with people who were born the same year as you. My children can interact with people of other ages easily and they’ve always been like that. I don’t think we did anything magical; we just exposed them to a whole range of other people. In life, you have to interact with people who are all different ages. My kids were always doing music and sport. They kind of had both worlds. If you just stay home all day, every day, then your child is going to be that stereotypical socially awkward kid, but it’s not because they were homeschooled; it’s because they weren’t socialized properly. Does a person need teaching experience in order to homeschool well? In reality, you are your child’s first teacher. You taught your child to walk and to talk. If you can read, you can teach your child to do it. You grow with them and your teaching style develops with them. Teaching your child at home is very different from standing at the front of a classroom having to deal with classroom management. When I started homeschooling, I had to change the images that I had of “school” and develop new ones. Lisa and her family took up residence in China way back in 1988. Lisa has been homeschooling in Beijing for 22 years. She has three adult children and is currently homeschooling her last child, a 17-year-old high schooler. When the time came to apply for college and then actually go to college, were your children at a disadvantage due to having been homeschooled? For the colleges we applied for, it wasn’t at all a problem that they had been homeschooled. Once they got to college, academically they were fine. In some cases, they were actually at an advantage. They struggled in other areas, such as being tied to somebody else’s timetable, but academics weren’t a problem. I would say that parents need to help their kids figure out what they want early on. If they want to go to Harvard or Yale they need to be thinking about that as early as Grade 9, so that they can design their homeschool program accordingly. My children didn’t lack in this area! They had too much socialization. They went to a homeschool co-op, they attended youth groups, and they played community soccer. They also had a lot of friends in our apartment complex. This city has a good transport system so it is easy for youngsters to get around by themselves. Co-ops provide children with an opportunity to participate in activities such as music groups, science experiments, and art workshops. Some of them also organize an annual graduation ceremony. What tips do you have on choosing a homeschool curriculum? I would recommend starting with something that is all there in one package. Begin to understand how your child learns and then you can slowly veer away from the package if you need to. Over time you’ll get comfortable with branching out. And remember, it’s not really about stuffing them full of information. We are trying to give our children the tools that they need for learning because today’s information will be outdated tomorrow. What advice would you give to parents thinking about homeschooling? It’s important to be connected with other people who are doing the same thing as you. And how does one go about getting connected with these people? You could try posting on internet chat groups, or any one of the many family-orientated WeChat groups. You could also try approaching the international schools that homeschooling families might be connected to, such as the schools that homeschooled students might go to take their SATs. Homeschooling families can be found across the city, with children ranging from preschool to high school age. For the parent wishing to embark upon the adventure of homeschooling, or for the seasoned homeschooler wishing to build up a network of Beijing-based comrades, it is well worth taking the time to track down these homeschooling parents. You can do this by asking around — both in person and online via the plethora of social network platforms that we have at our disposal. You’ll find that homeschooling parents are often extremely generous with their time and very willing to share their expertise with those just starting out. – The Core Knowledge series by E.D. Hirsch Jr.